I totally get it…you’ve got a great-looking website, you’re proud of it, but you’re frustrated. No one can find you on Google. You could have the best-looking website in the world but if people can’t find you online you won’t get any enquires or sales. – Why can’t our prospective customers find us on Google? – What do we need to do to get our website on the 1st page of Google? Google is the number one most visited website and it drives the majority of search traffic to websites in the world. That’s why it’s so important to have a strong presence in search results. It’s really important that you as the business owner understand what’s wrong with your website and what you can do to fix it. 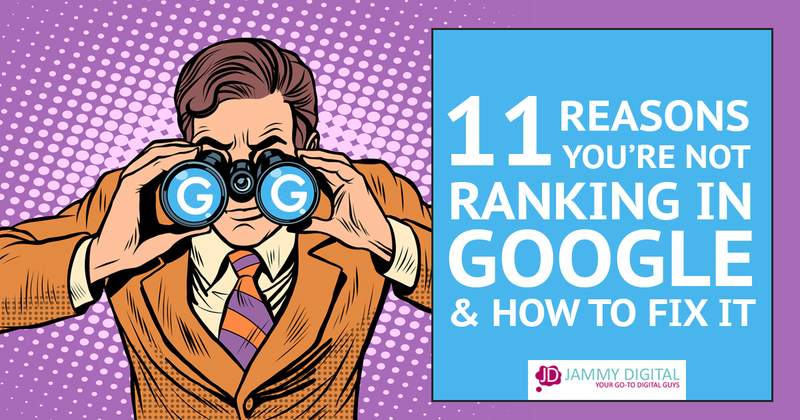 Having reviewed hundreds of websites over the past few years, I’ve found that there are 11 main reasons why your website is not ranking well in search results. So, if you are frustrated with the performance of your website, and you want to fast track to the solutions to fix it, you’ve come to the right place. Let’s face it. Some industries are more crowded than others, and some of your competitors might have a huge marketing budget behind them. This is why you might not be ranking on the first page for your main keywords. How can you check for competitors? A simple Google search for your main products or services will give you some indication of the size and weight of your competition. Take a look at the search below for “beds for sale”. As you can see, the number of results is ridiculous (over 173 million). Although lots of these results aren’t relevant, you’re still competing with the likes of DFS, Argos and Dreams. These are all huge organisations, and the chance of you getting your small-business website on the first page is slim to none. What can you do about your competition? You could try to focus on a particular segment of your target market. Rather than trying to rank nationally for the keyword “Beds for sale” you could instead focus on a local audience, such as “Beds for sale in Manchester”. If you go after a smaller market, there’s less competition and more chance of ranking higher for that geographical location. Another option would be to find a niche within your industry. Rather than aiming for “Beds for sale” you could go for “Children’s beds for sale”. There is far less competition for more specific searches, and you stand a better chance of performing well in search results. You have to be realistic, and if your competitors are all large organisations, then you may have to adjust your strategy. You’ll thank me in the long run. If you have a brand-new website and you’re not showing up on Google, it may be because Google hasn’t listed you yet. How to find out if your website is indexed. So, how would you know if your website is listed on Google? You can find out by using the following prefix in a google search. 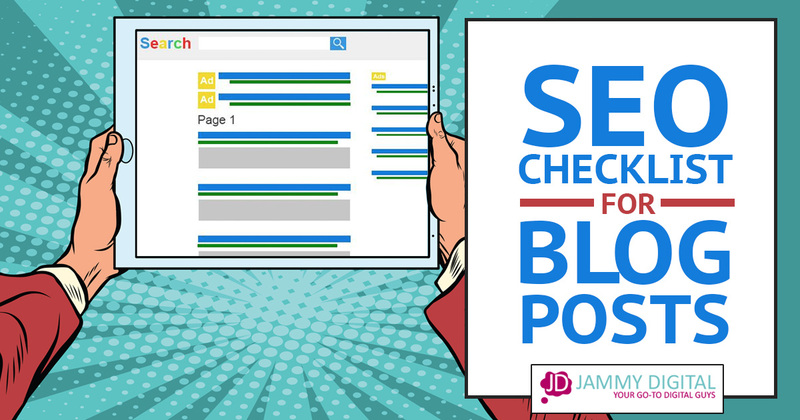 If you can see your website showing in search results and you’re at the top, you have nothing to worry about. This means you are indexed. Usually, you will see a full list of all your web pages, and that’s what you’re hoping for. On the other hand, if you’re not at the top or showing up at all then the likelihood is that Google hasn’t indexed your website yet. How can you index your website with Google? Google should eventually find your website anyway, but it can take a few weeks. Not only that, if something is wrong with your site you won’t know about until weeks down the line. The best thing you can do is to add your website to Google Search Console (previously Webmaster Tools) and provide them with your sitemap. This will tell Google which pages you want to show up in their search results and speed the process along. It will also tell you if there are any technical errors on your website. There’s no doubt about it. Mobile usage is overtaking desktop, which is why having a mobile friendly website is vital. If you don’t, it will seriously impact your rankings in mobile search results. Ideally, your website should be “responsive”, this means when your site is viewed on a mobile phone or an iPad it will take the shape of that particular device. It shouldn’t be hard work and require any dragging and pinching. This is bad user experience, hence the reason Google will punish you. To find out if you have a responsive website visit Google’s very own Mobile Friendly Test tool and enter your website URL. It will show you either as a pass or a fail. If a web designer created your website, speak to them about making it responsive. If you’re lucky, it won’t be too expensive! If you use WordPress and manage your website yourself, you could install a new WordPress theme that is responsive. You may also be able to keep the same theme but buy an additional plugin to make it pass the mobile-friendly test. Worst case scenario, you may have to have your website re-designed. It’s not always easy to convert an old website, and it might be easier to spend the money on a new design entirely. It is extremely important to have a responsive website, for both SEO and user-experience. Search engines use Meta data to work out what your website is about. Each one of your webpages will have its own set of meta tags and they can be optimised to describe the content on that page. Some of this information will actually show up in search results so you need to know how to change it as it’s often the first thing your visitors will see before they click through to your site. How can you check you meta-data? You can use this tool to collect a list of your pages along with their meta tags. Simple paste your URLs into the box and click submit. You’ll be able to download the full list and see what Google can see. Provided you are using a Content Management System such as WordPress you will have access to update your meta tags very easily using the settings for each page. How can you improve your Meta descriptions? Ask a question? This is a good way to entice your potential visitor e.g. Why is my website not ranking in Google? If you are using the WordPress platform, then you can install the Yoast SEO plugin and make changes very easily. For more On-page SEO tips you can read this article. Have you optimised your website content for search engines? Believe it or not, Google does actually need your help. We’d like to think that they have all the answers, but in fact, you have some work to do yourself. There are over 200 indicators that Google use to rank your website in search results. Most of which can be improved by adding and editing different elements on your website including your meta tags like we mentioned in step 4. 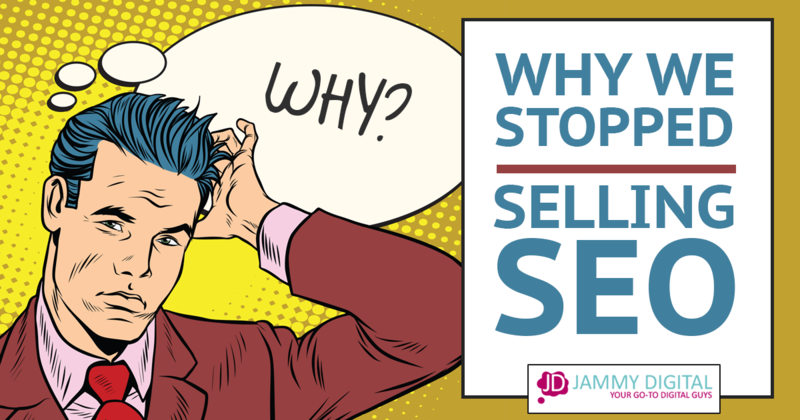 How can you find out if your on-page SEO is bad? You can use my free tool to check your SEO Score. Input your website URL and place the keyword you want to rank highly for and hit enter. It will give you a score out of 100 and tell you which areas need your attention. How can you improve your on-page SEO? I would recommend that you focus on one main topic for each page of your website. Everything from the page headings, image file names and internal links will need to be considered if you want strong search engines rankings. I honestly believe that high-quality content makes the biggest difference in how well your website performs when it comes ranking highly. Your website needs to have a good amount of content to perform well in search results. I’ve seen this time and time again. People pay £1000s for a brand-new website and then let themselves down with poor-quality content. It’s recommended that each page on your website should have at least 300–400 words of content. This will give Google enough confidence that the information on that page is somewhat valuable. Any less than that and your website is probably not going to rank well. You can use this tool to count the number of words on each web page. I would recommend that each page on your website should have at least 300–400 words of content. However, there are no hard and fast rules about this. For instance, most of the pages on my website contain 500–1000 words, and some of my blog posts are over 2000 words long (including this one). I personally find that the longer the content, the more helpful the information. There is an extra SEO argument for more content. The more content = more opportunity to include more keywords. You can simply edit your existing pages to increase the number of words. You could even pay a writer to produce your content on a regular basis. Prices for a copywriter tend to be around £100–£200 per page depending on the time it takes and the research involved. Here are my four tips to writing better content. Create helpful content that educates your audience. Backlinks are exactly as they sound. LINKS that point BACK to your website. The quality and volume of your backlinks are a strong sign of how trustworthy and reliable your website is. Search engines take this into account when listing your site in search results. Quality is far more important than quantity when it comes to gaining backlinks. A link from a relevant website in your niche is a lot more valuable than 100 links from low-quality websites. How to check your backlink profile. There are a few tools that will show you which websites are linking back to yours. Free Backlink Checker is a free tool that will give you a list of websites link back to yours. Open Site Explorer, Majestic SEO and Ahrefs are paid services that will give you a lot more in the way of metrics and will show you which links are your most powerful ones. Usually, you can start a free trial to test out the software. How can you build more high-quality links? Over time you may naturally gain some links from other websites. However, you can’t rely on this. If you focus on providing valuable and high-quality content, you will increase your chances of exposure. Providing the on-page elements are optimised as I discussed in step 4 and 5, more people will find your website and want to link back to it. You can also reach out to other website owners in your space and share your content with them. Hopefully they will link back to it. At the very least you could ask them if they would allow you to write a piece of content for their website and include a backlink within that. If you have a website but don’t use social media, it could impact your search engine rankings. A lack of social media activity is another sign that your website might not be as credible as your competitors. Much like backlinks, social media engagement adds to your overall trust factor. In a nutshell, the more social, the better. How to audit your social media activity? Visit BuzzSumo and paste your website URL into their search field. This will show you the most shared content on your website. It is a paid service, but they will show you some information for free. How can you improve social media engagement? Make sure you have social media profiles for your business, and you update them regularly with links back to your website. Facebook, Twitter, Pinterest, LinkedIn and Instagram are the most popular social media platforms so it would be good to start with these if you haven’t already. Focus on providing consistent, high-quality or entertaining content that will increase shares. Share your new AND old content across your social media accounts. Add Tweetables within each article in order to increase engagement further. If you have built your site yourself using a DIY website builder, you may have difficulty ranking in search results. I understand the appeal, drag and drop website builders provide an easy and cheap way to create a website within minutes. There’s one problem: I’ve rarely seen a high performing DIY website in search results. I believe it’s because these tools create a lot of excessive code that will impact the performance of your website. Here are a few reasons why your DIY website may not rank well. What can you do if you have a DIY website? Try your best to optimise your website using the previous steps in this article and make sure your page load speed is under 5 seconds. Aside from that, there’s not a lot you can do. It’s a quick and easy way to get online but don’t expect a flood of traffic. We recently wrote an article where we compared DIY websites vs web designers. Feel free to take a look to find out more. If you love your DIY website but are worried about losing the style, then don’t be. Most web designers will be able to build you a website that looks the same, but it would be a lot more efficient. Google expect your website to load quickly to keep their users happy. This means under 5 seconds. Any longer than that and you could risk being penalised by Google. How can check your page load speed? You can find out how long your website takes to load by visiting Gt Metrix and entering your URL. It will give you a time, and as long as it’s under 5 seconds you’ll be OK. Along with the load speed in seconds it will also give you a score out of 100 and give you the exact issues with your website. If this sounds a bit too technical, we can help. We do offer a website speed up service if you’d like us to help. Feel free to contact us to arrange this. Not to confuse you but there is a difference between “having your website penalised” and “being hit with a penalty”. Up until this point we have only discussed issues that will cause Google to devalue your site. On occasion, Google may issue a formal penalty. Getting your website hit by a penalty is rare. But if you have performed well in search results in the past but not anymore, this may be a sign that Google has taken action against your website. Over optimisation (on-page): This usually means you’ve tried to cram your keywords into every URL, Heading, Title tags, Alt Text, etc. This kind of tactic isn’t natural, and it doesn’t work anymore. Using the same keywords robotically throughout your website will raise a red flag with search engines. Unnatural link building (off-page): Gaining links back to your website is important, but you have to do it the right way. Buying links, swapping links, poor-quality links and unnatural anchor text is another way to get your site penalised. How to see if your website has been hit with a penalty? Hopefully, it will say “No manual webspam actions found,” which means you have NOT been penalised. If you have suffered a penalty, it is NOT the end of the world, but it will require your immediate attention. Google will inform you why they have penalised your website. Once you have fixed the particular issue, you can then submit a “reconsideration request” to Google. Google will then check to ensure you have corrected the issue. If everything is OK, they will remove the penalty. There are so many things you can do to improve your visibility in search results. Most of which can be done by you without the need of an SEO company. The more you understand about your website, the easier it will be if you do decide to hire someone later on in the process. Are YOU finding it difficult to climb onto the first page of Google? Now that you’ve read the article, do you feel a little clearer about what you need to do? I’d love to hear from you so please let me know in the comments below. Book a website critique to find out why your website isn’t performing as well as it should. Excellent piece of content!!! So helpful! This is really a wonderful article you have mentioned the most common things why a site is not getting better ranking in Google but most of the people underestimate these things. 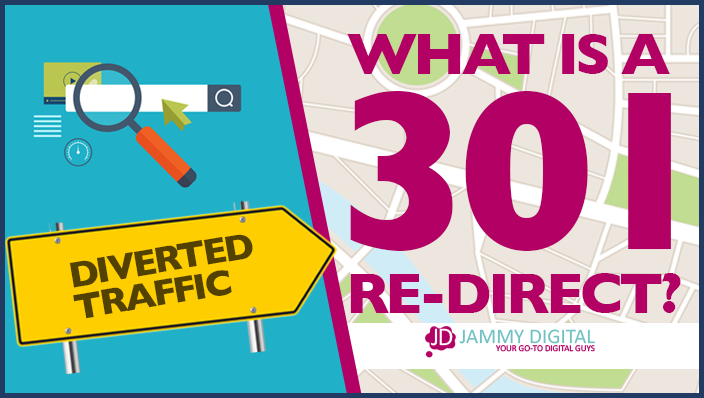 What is a 301 redirect and why should you care?